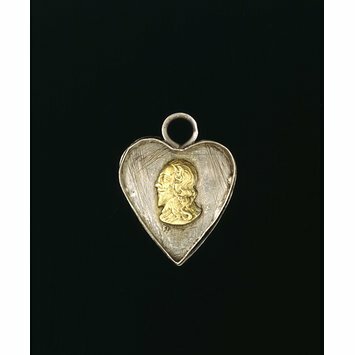 Many lockets with royal portraits were made in the second half of the 17th century to show support for the Stuart Kings. The execution of Charles I in 1649 inspired numerous images on medals, rings, pendants and lockets. The objects ranged from modest ornaments like this one to gold jewels as well as reliquaries that contained fragments of material soaked in the blood of the executed King. For some people Charles became a religious martyr whose feast day was kept on the anniversary of his execution. From 1662 to 1859 the Book of Common Prayer used by the Church of England included a 'Form of Prayer with Fasting to be used yearly on the Thirtieth Day of January, to commemorate the Martyrdom of the Blessed King Charles the First in 1649'. However, support for the Stuarts was conditional, as James II was to discover in 1688 when he had to flee abroad, leaving the throne to his Protestant daughter Mary and her Dutch husband, William of Orange. 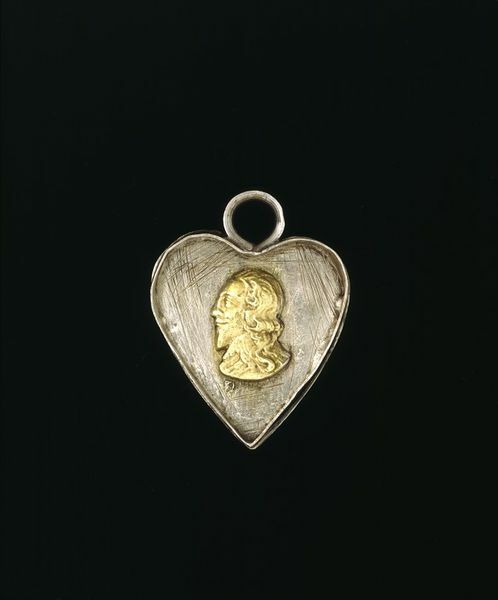 Heart shaped silver locket with depictions of Charles I, the future Charles II, and Henrietta Maria, inscribed.